Depending on the individual needs of the patient, cataract surgery can be performed using a femtosecond laser (link RTS). This is the latest development in cataract surgery in which certain parts of the surgical process are automated. In the usual procedure, the technique of microincision and the use of ultrasounds are the rule. 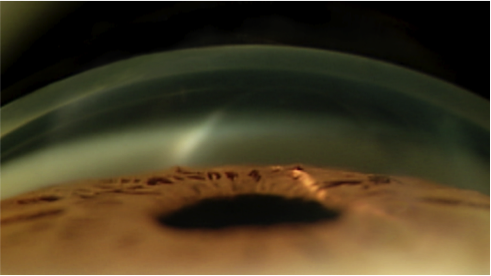 For patients satisfying certain medical criteria, we propose multifocal implants which make possible both near vision and far vision as well as toric implants which correct astigmatism. For the latter implants, a modern alignement system of the implants integrated within the microscope is used. This is the latest technology, enabling a reliable positioning of intraocular implants. Glaucoma surgery is performed following the deep scleroctomy technique or the trabeculoctomy technique, depending on the individual needs of the patient. Laser devices are also used as part of the available care platform, together with various latest-generation implants which are useful in order to lower the intraocular pressure. Depending on the home address of the patient and on the specific equipment needed for the surgery being planned, surgical interventions are performed either in Geneva, at the Clinique MV Santé Champel (link) or at the Clinique La Colline (link), or in Lausanne, at MV Santé Rhodanie (link). All three operation rooms are very recent and feature state-of-the-art equipment and procedures. In particular they feature operation microscopes which enable the surgery to be performed in the best possible safety conditions, both for the surgeon and for the patient. Further information concerning the surgery procedures and the clinics can be found on the websites listes in our « Links » section.